A key argument that public-safety officials use to justify their absurdly high pension benefits –- i.e., “3 percent at 50” retirements that allow them to retire with 90 percent or more of their final year’s pay as early as age 50 -- is this: We die soon after retirement because of all the stresses and difficulties of our jobs. This is such a common urban legend that virtually every officer who contacts me mentions this “fact.” They never provide back-up evidence. Here is one article I’ve been sent by police to make their point. It was written in 1999 by Thomas Aveni of the Police Policy Council, a police advocacy organization. Here is the key segment: “Turning our attention back towards the forgotten police shift worker, sleep deprivation must be considered a serious component of another potential killer: job stress. The cumulative effect of sleep deprivation upon the shift-working policeman appears to aggravate job stress, and/or his ability to cope with it. I don’t doubt that police work can be very stressful, but many jobs are stressful, many have long hours, many are more dangerous, many involve sleep deprivation. As intelligent adults, we all need to weigh the risk and benefits of any career choice. Aveni uses the high amount of workers compensation claims as evidence of the dangers of the job, but given the tendency of police and firefighters to abuse the disability system – miraculously discovering a disabling injury exactly a year from retirement, thus getting an extra year off and protecting half the pension from taxes – I’m not convinced this proves anything. Given the number of officers who are retired based on knee injuries, back aches, irritable bowel syndrome, acid reflux, etc., this suggests that police game the system and know their fellows on the retirement board will approve virtually any disability claim. There are so many legal presumptions (if an officer develops various conditions or diseases it is legally presumed to be work related, whether or not it actually is work related) that bolster the scam. “Disabled” officers often go right out and get similar law enforcement jobs, which calls into question how disabling the injury really is. Regarding sleep deprivation, police and firefighters have secured schedules that minimize the long hours; then the officers often choose to work overtime for double salary, which perhaps is the real cause of sleep problems. The big whopper in the Aveni article, however, is the claim that officers live to be 53-66. If that were so, there would be no unfunded liability problem because of pension benefits. Police officers would retire at 50-55, then live a few years at best. So we see that police and firefighters who retire at age 60 live, on average, well into their 80s. That’s real data and not the hearsay used by apologists for enormous police pensions. Here is Myth #4 (presented as part of a Power Point presentation): “Safety members do not live as long as miscellaneous members.” CalPERS officials explain that “rumor has it that safety members only live a few years after retirement.” Actuarial data answers the question: “Do they actually live for a shorter time?” The presentation considers the competing facts: “Safety members tend to have a more physically demanding job, this could lead to a shorter life expectancy. However, miscellaneous members sit at their desk and might be more at risk to accumulating table muscle!” Fire officials, by the way, make identical claims about dying as early as police officials. For answers, CalPERS looked at an experience study conducted by its actuarial office in 2004. It looked at post-retirement mortality data for public safety officials and compared it to mortality rates for miscellaneous government workers covered by the CalPERS system. -- If the current age is 55, the retiree is expected to live to be 81.4 if male, and 85 if female. -- If the current age is 60, the retiree is expected to live to be age 82 if male, and 85.5 if female. -- If the current age is 65, the retiree is expected to live to be age 82.9 if male, and 86.1 if female. That’s no mistake. The numbers for public safety retirees are identical to those of other government workers. As CalPERS notes, average public safety officials retiree earlier than average miscellaneous members, so they receive their higher level of benefits for a much longer time. The next time you hear this “we die early” misinformation from a cop, firefighter or other public-safety union member (most of them probably believe it to be true, given how often they have read this in their union newsletters), send them to CalPERS for the truth! “'The average police officer dies within five years after retirement and reportedly has a life expectancy of twelve years less than that of other people.’ Still another author states, ‘police officers do not retire well.’ This fact is widely known within police departments. These statements (which are without supporting evidence) reflect a commonly held assumption among police officers. The report also casts doubt on the commonly repeated statistic that police have higher rates of suicide and divorce than other people. The federal report found the divorce rates to be average and suicide rates to be below average. This is important information because it debunks a key rationale for the retirement expansions, although more recent data need to be examined on divorce/suicide rates. 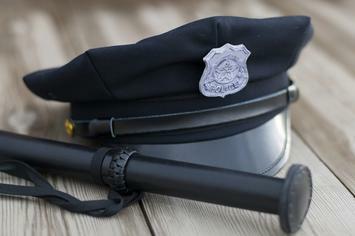 Police have an oftentimes tough job, but many Americans have oftentimes tough and sometimes dangerous jobs. This needs to be kept in perspective. Public officials need to deal in reality rather than in emotionally laden fantasy when considering the public policy ramifications of pensions. This article was excerpted from Greenhut’s forthcoming book, “Plunder! How Public Employee Unions Are Raiding Treasuries, Controlling Our Lives And Bankrupting The Nation” to be published by The Forum Press in November. Submitted by xahgzr1122 on Tue, 03/17/2015 - 07:16. Submitted by xijozx1122 on Sat, 03/14/2015 - 09:29. Submitted by xxdllb1122 on Sat, 02/28/2015 - 05:22. Submitted by xijozx1122 on Sat, 02/21/2015 - 07:03. Submitted by xygwfl1122 on Sat, 01/17/2015 - 07:34. Submitted by uofix on Thu, 09/18/2014 - 08:14. Submitted by uofix on Sun, 09/07/2014 - 09:59. Submitted by F.J. on Mon, 09/08/2014 - 18:16. Submitted by uvcfg on Mon, 09/01/2014 - 06:06.